Clark Seif Clark provides indoor environmental testing, monitoring and consulting services to identify and mitigate asthma triggers and respiratory irritants. Work-related asthma, also known as occupational asthma, is a lung disease that can cause a shortness of breath, chest tightness, coughing and wheezing after exposure to an allergen or irritant at work. The perfumes and fragrances that are found in personal care products, air fresheners and even cleaning products are frequently encountered and all too common. While some people find these odors to be pleasant, these same scents can act as a respiratory irritant for others. Even worse, the smell of a strong perfume or fragrance could trigger an asthma attack for some people with the condition. 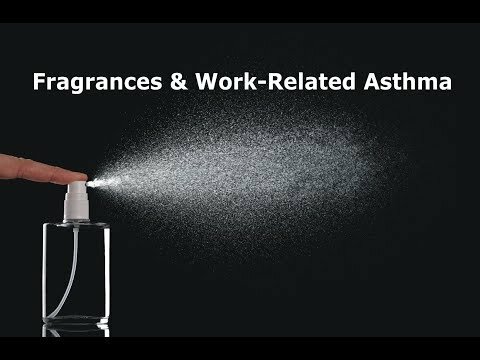 Controlling exposure to these odors in the home is often manageable, but for some asthmatics, exposure to asthma triggers such as perfumes and fragrances, is much harder to control in the work environment. Work-related asthma, also known as occupational asthma, is a lung disease that can cause a shortness of breath, chest tightness, coughing and wheezing after exposure to an allergen or irritant at work. Common workplace exposures that can cause the condition include contact with dust, mold, animal and insect allergens, plants and various chemicals, including perfumes and fragrances. Training employees about the health effects of fragrances. Prohibiting the use of air fresheners in the workplace. Fixing or removing what is causing bad odors. Bringing in adequate fresh air from the outside. To learn more about this or other occupational, indoor air quality, environmental, health and safety testing services, please visit www.csceng.com, email csc@csceng.com or call (800) 807-1118.